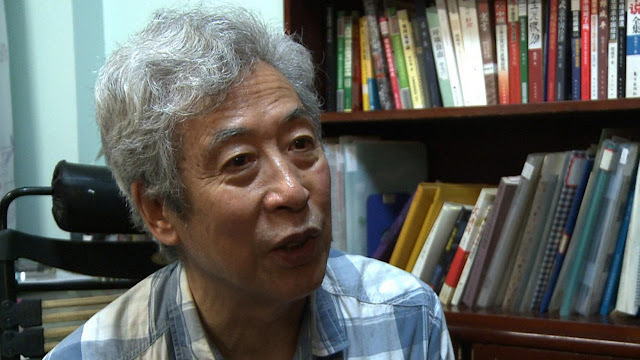 A dissident former professor and frequent critic of the Chinese government was reportedly arrested on Wednesday during an interview with an American news outlet in which he was criticizing Chinese government policies. In 2005, the Chinese government denied his passport application and he has been unable to leave the country ever since. In 2009, when he was on his way to a memorial for a leader who was dismissed for supporting the Tiananmen Square protesters, Sun was beaten so badly that four of his ribs were broken. He was also detained twice for “counterrevolutionary speech,” according to Human Rights Watch. In July, he wrote an open letter to Chinese President Xi Jinping, criticizing him for his “checkbook diplomacy” and for getting rid of term limits to keep himself in power indefinitely. On Wednesday, Sun was doing a phone interview with Voice of America. He was under house arrest at the time. In the interview, he criticized President Xi for investing $1 billion in African infrastructure instead of using it to address poverty in China. VOA continued to capture audio as Sun threatened to get a knife if the men didn’t leave. “It is illegal for you to come to my home,” he can be heard saying. Then the call ended. He has not been heard from since. Responding to this incident, Florida Sen. Marco Rubio tweeted that incidents in China should remind Americans that despite the frequent usage of “tyranny” or “authoritarianism” in American politics, citizens in China are facing true tyranny.